Established in 2012, celebrated by many style conscious and trend-savvy shoppers, HighStreet has quickly become the source for the most current fashions at the greatest value. HighStreet is growing quickly, a constant flow of fun and creative clothing designs and the accessories to make your look come together at the right price.www.highstreetshop.net is an exciting new addition to the online market, with an easy Cash on Delivery service across Pakistan and 24/7 customer support that makes the online shopping experience convenient and hassle free. 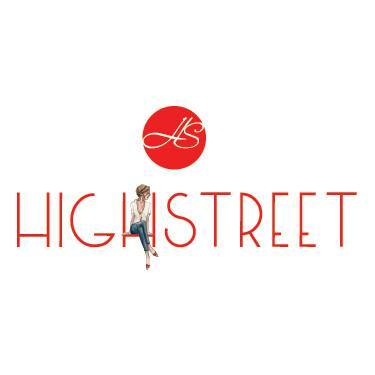 Highstreetshop.net, aimed at fashion lovers looking for quality beautiful clothing at affordable prices, prides itself on superior quality, outstanding customer service and a wide range of beautiful clothing, which sets the brand apart from other retailers in the region. All customer information collected through our page ( Name, Address, Phone Number) is strictly used for forwarding the client’s orders. In no way we sell this information to a third party or use it for spam or marketing. Our policy lasts 3 days ( after you receive your package). If 3 days have gone by since you receieved your items, unfortunately we can’t offer you a refund or exchange. Several types of goods are exempt from being returned.Items Sold during Sale/ Special Promotions/ Discounted Items cannot be returned. We also do not accept exchange or return of Lingerie and Accessories.